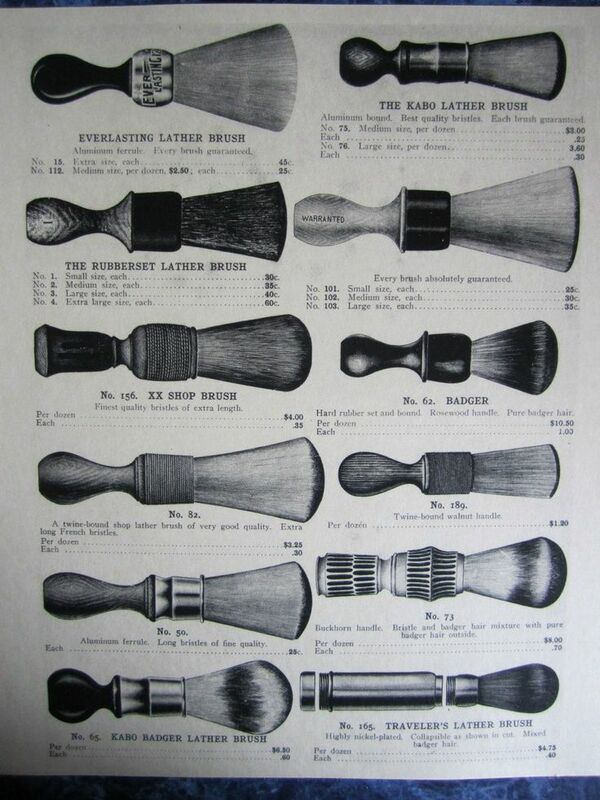 A poster / advertisement for shaving brushes I found online, age unknown. 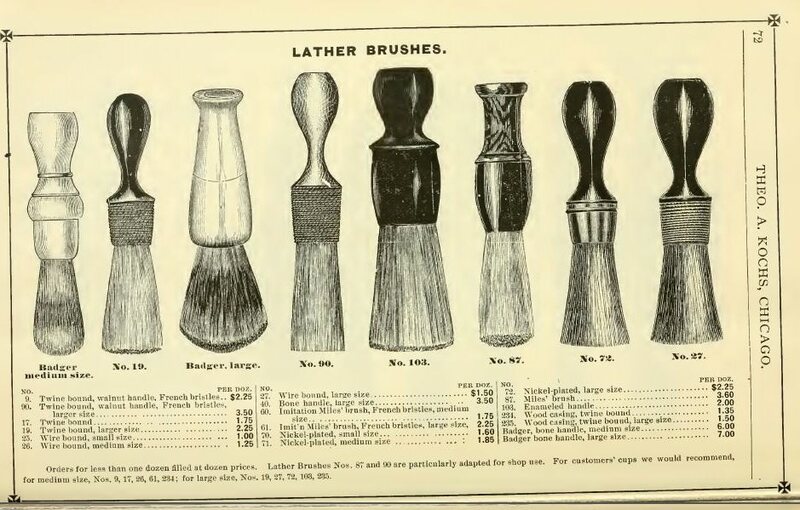 The similarities with the brushes from the US Civil War I posted last week should be obvious; high loft, a 'neck' between the handle and the brush proper, and in some cases the use of string to secure the knot. At the same time we can see the development of the modern brush; shorter loft, use of rubber cement and glue to secure the knot, and less pronounced necking. Rubberset #3 from the page above but re-knoted on far right. Very similar designs - this is from the Kochs Catalog from 1884.